“I found out about the tb1 pot on the Banjo Hangout. Wyatt Fawley had come into possession of a pristine pot including the resonator and being a long time builder wanted to build a period correct 5 string neck and sell as a conversion. Knowing Wyatt’s work, I contacted him and we reached an agreement. The neck is straight grain maple and shape is consistent with the mid-20s style 1s. 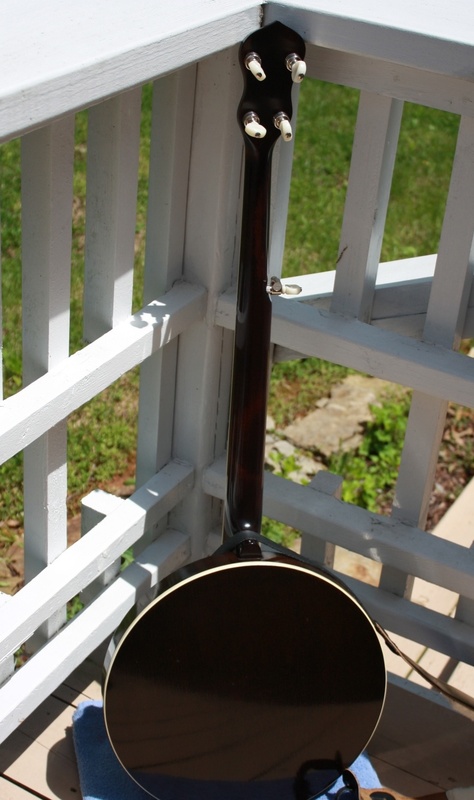 It does have an adjustable truss rod, however, that is accessible from the pot end of the neck to have the appearance of no truss rod which was the case with originals. I did add an arm rest (Saga) but the tailpiece and all remaining metal configuration for the pot is original I am told by Wyatt. 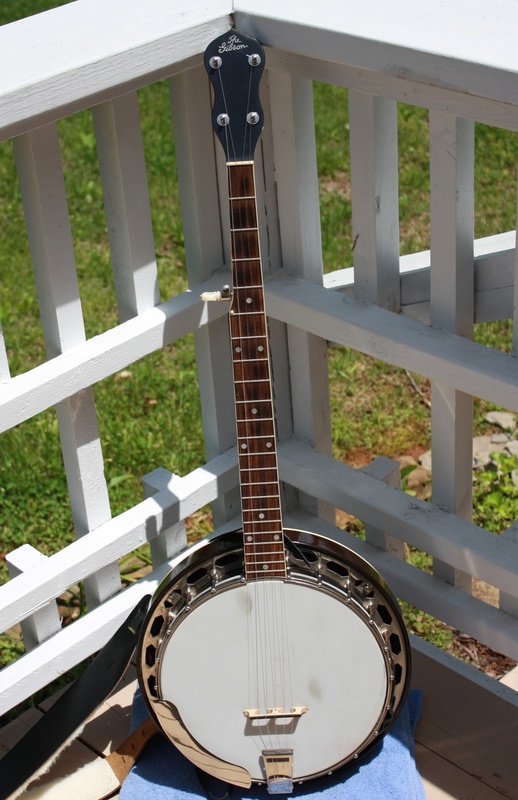 I am a bit surprised to find the hex(agonal) flange since all 1926 bracket shoe banjos with which I am familiar have a diamond flange and to the best of my knowledge, the hex flanges appeared in 1927 – I could be wrong as there are few absolutes in Gibson banjo history.